While I’ve never been to a clothing swap of any kind, from what I’ve been told, a solid strategy is key! With under a week until the Uptown Fashion Swap, the folks at Uptown have a few tips of their own to help you maximize your potential for successful swap swag! If It Doesn’t Fit, Swap It! This seems like a no-brainer. And further, if that item has been sitting in your closet for six months and the tags are still firmly affixed, consider that another lovely lady might get better use out of it. Some pieces our closet just can’t be without. A great bag, that little black dress or even the perfect pair of pumps. Closet purges are healthy but hang on to the classics. 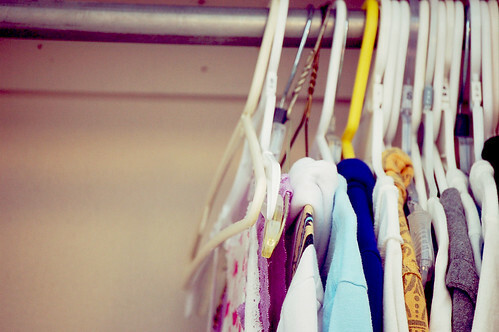 It can be difficult to see the pile on your bed get larger while the hole in your closet grows. Remember that not only are you swapping out items you probably won’t ever wear, you’re also making room for all the fabulous new finds around the corner! It makes sense that the closest racks and tables will be picked over first, so head to the back for the prime picks. If something is still originally tagged, grab it! Even if it doesn’t fit or isn’t your style, consider that it could make for a great gift for someone else. Clothing swaps can be chaotic at best, so dress in a way that will allow you to very easily try items on. The pros suggest leggings, a tank top, a great-fitting bra and comfortable shoes or flip flops. 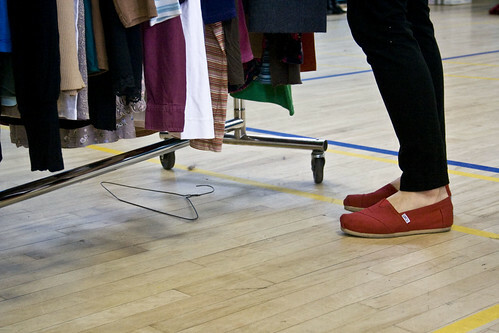 A clothing swap is a great opportunity to add classics to your wardrobe, so keep your eye open for them. Crisp white dress shirts, great denim and well-tailored blazers should be added to your list. Keep these tips in mind and I’ve got no doubt that Uptown’s Fashion Swap will make for a memorable fashion fête. Remember that those who are purchasing tickets and participating must have their 10 swappable clothing items brought to Uptown no later than Saturday, May 19th! Tickets for the Uptown Fashion Swap are $20 each and available at Uptown’s guest services desk. The evening also includes music, tapas and and outdoor party to celebrate the swap. For more information on Uptown, visit them online, become a fan on Facebook or follow them on Twitter!